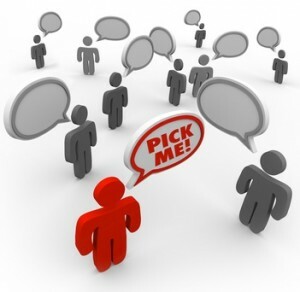 How do you know if a rental applicant will make a good tenant? It comes down to one factor: respect. Disrespect isn’t simply an attitude. It’s a bad behaviour, one that leads to income loss for landlords. Tenants must respect the landlord, the lease, and the property. How did the applicant treat the previous landlord? A landlord is perplexed because his tenants, a younger couple with good credit, seemed like a perfect fit. Yet, within six weeks of moving in, they neglected maintenance items around the property causing nearly $1,000 in damage, allowed two unauthorized occupants to move in, and secretly increased the number of pets. In hindsight, the landlord remembers that the tenants complained about the previous landlord. A lot. Was the writing on the wall before these tenants were approved? That question could only have been answered had the new landlord spoken with the previous landlord. Perhaps then, the new landlord would have discovered the omission on the rental application regarding the undisclosed roommates or pets, or a pattern of pushing the limits and breaking the rules. Maybe these tenants were taking advantage of the previous landlord’s inexperience. Those all are signs of disrespect. A renter’s previous situation matters. What has the applicant gotten away with before? If tenants took advantage of previous landlords, you can bet they’ll try it again. Did the applicant fully complete the rental application? A sure sign of disrespect is the failure to provide all of the information and supporting documentation requested in the rental application. Those applicants are not taking the process seriously. Would they receive a car loan or mortgage by providing only a portion of the documentation that the lender is demanding? Certainly not, and chances are the applicants know it. The rental application has legal consequences, and the landlord must demand a fully-completed and signed application before considering an applicant. If the applicant already is testing the waters by doing a sloppy job, that disrespect likely will spill over into other facets of the tenancy. How has the applicant treated other creditors? 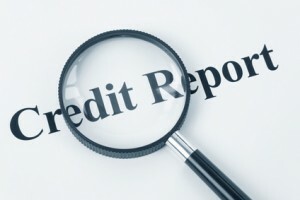 When evaluating tenant credit, the individual score is less an issue than the reason for it. For instance, if the person experienced an unfortunate circumstance but is recovering, the person is less of a risk. However, if the person has poor credit due to persistent late payments, defaults or judgements, that is a sign of disrespect. That person may feel entitled to having something for nothing. Does the applicant immediately attempt to reduce the rent or demand other concessions? An effort to one-up the landlord in the negotiation process is a sign of disrespect. This is especially apparent if the applicant wants to lock horns before deciding whether to pursue the property. This person wants to win more than wanting to cooperate. This could become a persistent problem. Is the applicant prepared to move? Asking a landlord to show a property before the move is imminent shows no respect for the landlord’s time. Does this person actually expect the landlord to hold the property vacant until he is she is ready? Is the applicant late with no apology? This is a dominant posture that shows disrespect for others. Also, watch for slow response to phone messages or emails. Conversely, does the applicant demand your immediate attention, call persistently until you answer, demand to speak to you at inconvenient times, or insist that you call back at a time that suits them? If the behaviour is starting this early, there may be worse problems down the road. Does the applicant respect the value of the property? If applicants speaks in a negative way about the property, chances are they will not care for it, or worse, will cause damage. Red flags include derogatory comments about the property during the tour, and references to the condition of a previous property. A disrespectful applicant may blame a bad tenancy on the condition of the previous property. Check with the previous landlord to see whether that person tells a different story. This advise about “respect” is , in my case, corroborated 100%.